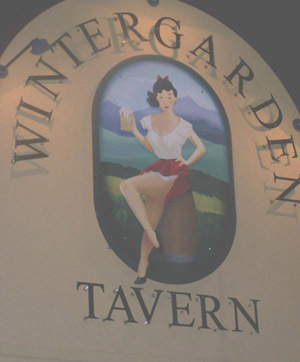 The Wintergarden is located on the north end of Livonia. Its at 7 Mile and Farmington right next to Coaches Corner. They used to be smaller but they expanded into a larger bar in 2005. They have many tables and bar stools for seating and a full staff. They serve food and have a decent selection of draft beers. If you feel like playing games they have several pool tables, dart boards, golden tee, and even shuffleboard. If you just want to sit and watch the game they have plenty of TV's to do so.